- Bypass << Marvell Firmware will not handle the SATA transactions, all data transfer will be through the controller without change or handling, useful for troubleshooting or if you are having issues with a certain device (Otherwise if you are using Marvell you want FWMode). Some say TRIM may also work in this mode, but I don't see it in my testing, but I haven't checked in a LONG time either. - Auto << Sets to Onchip, or force, depending on how the BIOS engineers set it at the time. Some BIOSes may contain this setting set to onchip meaning the firmware will not be updated unless you set Force, other BIOSes may be set to Force via auto by default if they feel the included firmware needs pushed onto the controller no matter what. - Force << This Force flashes the Marvell firmware with whatever version is included in the BIOS you are currently using. 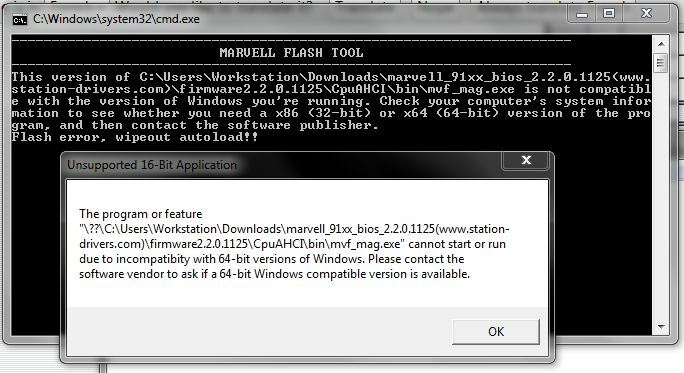 You can also mod the BIOS and put in any version of Marvell firmware you want, then Force flash it. So you use this if you've manually updated the Marvel firmware? Last edited by oubadah; 02-18-2012 at 05:46 AM. Onchip means it always uses the firmware that's already on the chip, that means currently flashed in. So that could be the firmware that came in the last BIOS you flashed, if the engineers set it to auto force at first, or any older BIOS that did the same or that you manually set to force update. Marvell firmware can be flashed via windows, but I've never done it, I've always inserted into the BIOS the same as PCI ROM updating. If you go about doing it either way be sure to read around about the firmware you are thinking of using, some are better than others and newer is not always better. I think I'll leave it at 2.2.0.1113 now. This whole thing is confusing as hell with all the firmwares and drivers, and I'm half tempted to just disable the damned controllers altogether and live without them. Why is Intel so stingy with the SATA these days? That means it would either need to be ran from a 32 bit system, or from DOS. Not sure which as I've only updated the firmware via BIOS editing. If you are wanting 6Gb/s for your OS drive, then Intel would be best anyway no matter what! The Firmware on the Marvell chip needs to updated from DOS, I use a Bootable USB Drive to do that. Just Run the appropriate GO.BAT file after booting to DOS. Last edited by NoJuan999; 02-19-2012 at 12:28 AM. 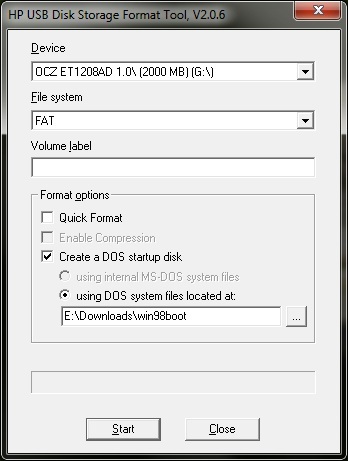 Get a USB flash drive and make it bootable by formatting with THIS tool and using THESE Windows 98 System Files. 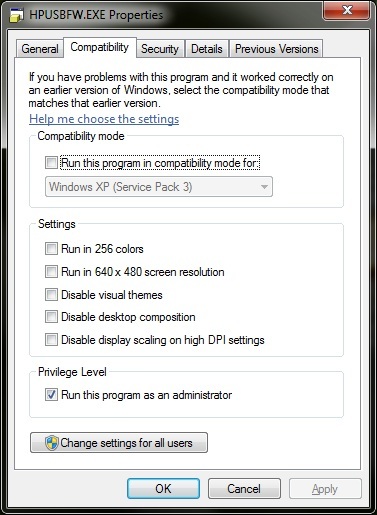 NOTE: the HP format tool needs to be run as admin. Restart the machine and use the F12 menu to boot from the flash drive. 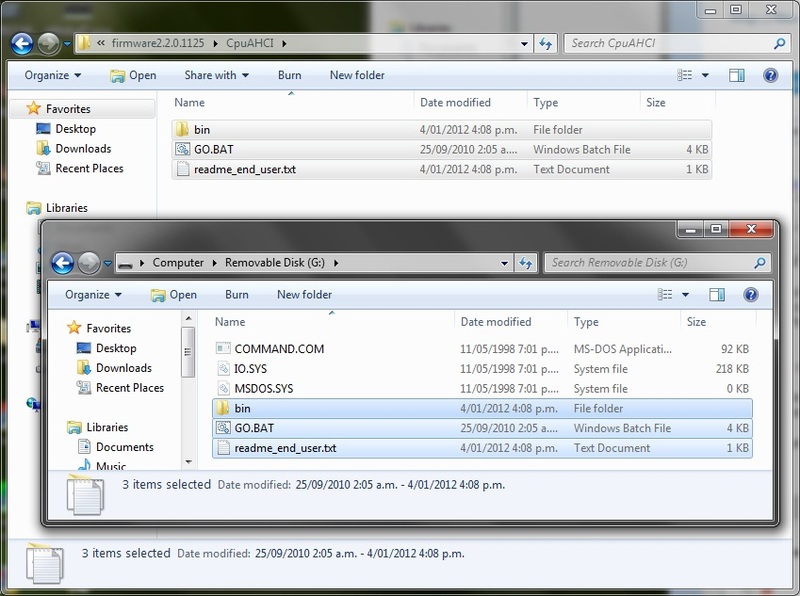 After the windows 98 screen has loaded, type "go.bat" and it'll flash. NOTE: My board (P67A-UD7-B3) has two controllers. They were both enabled when I first did the flash, but only the first one was updated. So I disabled the first one and flashed again to update the second one. Should have thought of that and disabled the second one before I flashed the first one then vice-versa. To verify that the firmware has been successfully updated, you can check in the "ESATA/GSATA RAID Configuration" menu in "Integrated Peripherals" in the BIOS before and after the flash. 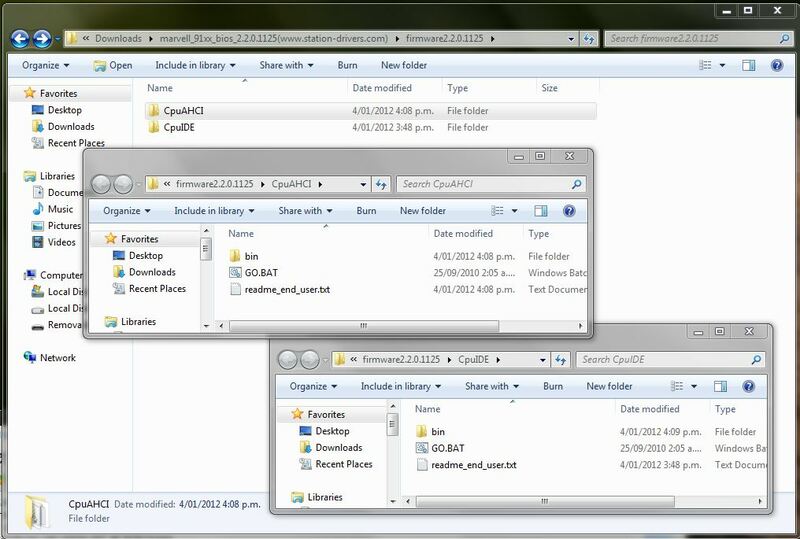 Mine was BIOS: 1.0.0.1029, Firmware: 2.2.0.1113 before and BIOS: 1.0.0.1033, Firmware: 2.2.0.1125 after. NOTE: There is the following BIOS interface bug in the P67A-UD7-B3 (and possibly other boards with dual Marvell controllers): If you open the "GSATA RAID Configuration" menu and then exit it and try to open "ESATA RAID Configuration" (or vice-versa), the BIOS will lock up and you have to Ctrl+Alt+Delete out. So to avoid this open one, then exit and restart the PC before looking in the other. Last edited by oubadah; 02-19-2012 at 07:00 AM. If you want, go ahead and send in a report about that Marvell entry/exit issue. It may not affect many users because not many use those ports, but it's a bug so you should report if you feel it's worthy of your time sending in a report.